The Mercedes-Benz W108/W109 chassis is one of the DT regulars- you may recall a number of detailed and engaging posts from Hunsbloger about the specifics of the W108 4.5 SE market, (hey, that post is 2 years old, might be time for an update) but he didn't touch the W109 SEL 6.3 due to the rarity/complexity/cost of the faster Benz. It isn't a car that you normally find languishing in the sub teen price range, but that is exactly what tipper Roy F sent to us. 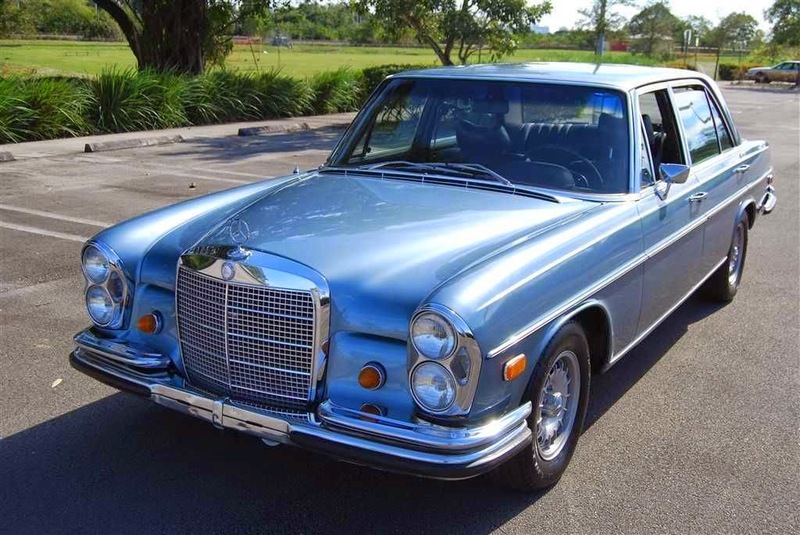 Find this 1969 Mercedes-Benz 300 SEL 6.3 here on eBay currently bidding for $11,500 reserve-not-met. 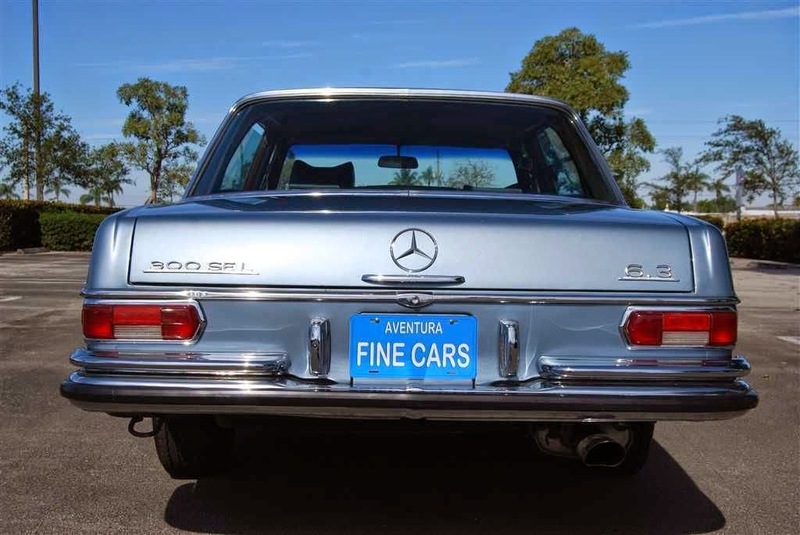 A good condition W109 300 SEL 6.3 should demand considerably more money that the current bid, but the reserve isn't met and sometimes auctions simply slip through the cracks to be relisted with more success in a few days. The 14 bids indicates the auction has seen some action, but it is a far cry from the $30k-40k you'd expect on a 6.3 liter powered Benz. This W109 is equipped with the M100, a 6.3 liter V8 fuel injected screamer that put out a tire melting 300 horsepower when new, allowing Mercedes to boast they offered the fastest production sedan in the world. Stories from the late 60s involving the M100 demolishing Corvettes and Shelbys likely contain more hype than substance, but the M100 featured an alloy head and sodium filled valves when everyone else was still trying to figure out how to shove a bigger carburetor under the hood. To say the M100 was ahead of its time is an extreme understatement. 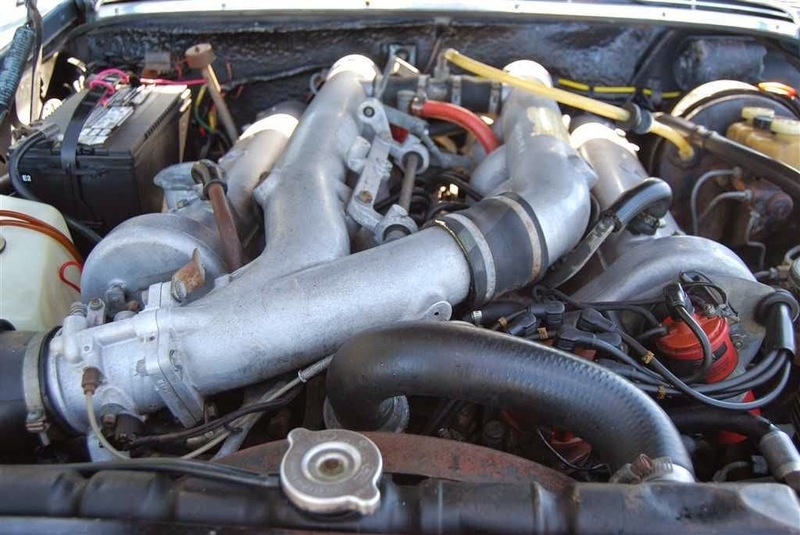 The car that donated this powerplant to the W109 was the legendary dictator-spec 600, aka W100 Großer Mercedes. The 300SEL 6.3 used the same interior as the standard W108/W109 chassis, which is to say that it is quite nice and rugged. Buyers will often find original condition W109 interiors that are liveable compared to typical American interiors from the same era that are on their 2nd refresh from new parts. However, the dashes do crack, odometer gears fail and the wood grain will start to show age (especially the piece that sits along the windshield edge - it is particularly susceptible to sun damage). The E-bay ad says this car is grey. My monitor shows a nice steel blue, very similar to the Caddy-mino from a few days ago. What do all y'all see? I own a W108 in 906 Graublau metallic (Grey Blue metallic), and would swear this car is that color. I'm not an MB fan and this is a gorgeous car. Anybody watching "Bates Motel" and what they're doing to that poor W108? That's a very pretty car, too. I believe the 6.3 occupies a space in the automotive pantheon that demands respect in the "every enthusiast should own/drive one at some point." If for nothing else, just to feel that locomotive push against your back when you bury the pedal...it must be an intoxicating experience. back in 1991 before i could legally drive i bought a W108 SEL 4.5 as my first car. 10's of thousands of dollars and a lot of work later the car is almost completely restored. that car thought me to become a fairly good mechanic. i am so fortunate to have my first car this many years later. This looks like a car I thought about buying a decade-plus ago around here, that car was a very good driver-quality cosmetic resto with what seemed to be sound mechanicals, but I was buried in a seemingly round-the clock software-startup work schedule and the idea of bringing another maintenance-intensive vehicle into the house just kinda slipped off into the future. Still in the top ten of my bucket list, but still got a few things to clear out of the way first. A friend of mine's dad had two of these, one of them was in a great battleship gray the other silver. In high school we would take them out (like all A-hole teens do) and romp on them. The engines were amazing. I believe these have airbag suspension that when the car would sit over time would deflate leaving it looking like a stanceworks project car.